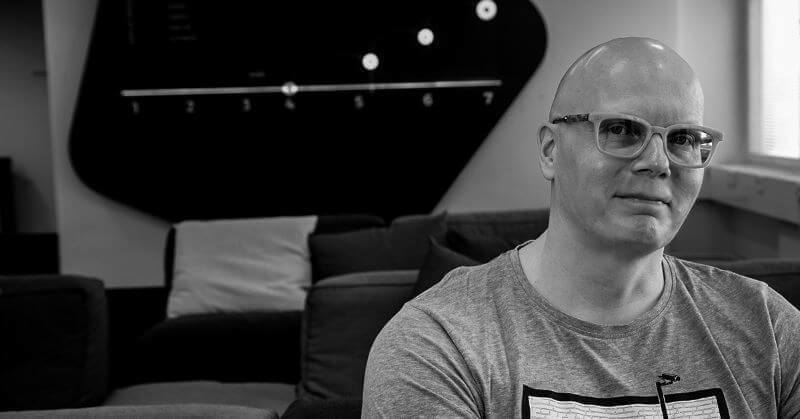 Itewiki interviewed our CCO Heikki Hämäläinen about AI-based software development and automation, and how it brings companies significant economic benefits. Itewiki, a well-known Finnish IT-industry website and the wikipedia for professional IT companies, wanted to interview our CCO Heikki Hämäläinen about AI-based software development and automation, and how it brings companies significant economic benefits. Read more on his thoughts about AI-based software development from the translated version of Itewiki's original blog post. Automated software development based on artificial intelligence, or AI, brings companies significant economic benefits. Itewiki asked Heikki Hämäläinen from Eficode to explain the functionalities and added value of AI automation in a nutshell for Itewiki’s readers. What does AI-based software development mean? AI-based software development means fixed integration of the different forms of AI, such as machine learning, as part of the entire software production process. “For software development, we will then look at the process from requirement management to testing the software code and until final deployment. In addition, predictive analytics will in the future be used in a proactive manner to measure the business value of different service entities or characteristics, or staying on the publishing schedule, for example. We can model this by using different kinds of weak signals,” Hämäläinen explains. Broadly speaking, we can talk about the entire digital service production process. “This means our idea is to divide the production process in parts and identify the parts where we can concretely reach the biggest customer benefit when integrating the different forms of artificial intelligence as a part of the process,” Hämäläinen says. Without a high level of intelligently implemented automation, the productivity of the software industry cannot achieve sufficient growth, and as digitalisation increases, the competitiveness of companies will decrease. “All digitalisation projects include changing the organisation’s business to software-based. In other words, all development projects will create new digital products, services and experiences that are actually software. This creates such a huge demand for software experts that without increasing the level of automation for the entire sector, the lack of experts is about to become the biggest bottleneck,” Heikki Hämäläinen warns. A known problem is that this will in its turn lead to a “recruitment war” between different companies. This will not bring any added value for the end customer, but will rather rot the wheels of the entire IT industry and national economy. Simply this reason makes the work that is done to increase the level of automation incredibly significant. What kind of benefits will the automation of software production lead to? Simultaneously, as the level of complexity of digital production and runtime environments is continuously increasing, the level of automation related to them should keep increasing even faster to keep things in balance. Eficode sees an enormous potential for AI-based software development and automation already in the near future. “We will open up offices in several new countries by the end of 2019 and we aim to open the next one already during 2018 – the market analysis of the different options is already far off. In general, our goal is that the volume of international business operations will be larger than domestic operations within the next 4­–5 years,” Hämäläinen concludes.